One more step and you will submit your official signature to end cruel cage farming practices. In order to ensure the validity of your signature, the European Citizens Initiative needs extra information from you. This is a secured form. Your details will only be used for confirming your participation and will be deleted after validation. Want to know how it works first? Watch our explanation video here. Thank you for signing our petition against cage farming. With your help we can work towards a world without the cruelty of factory farming. 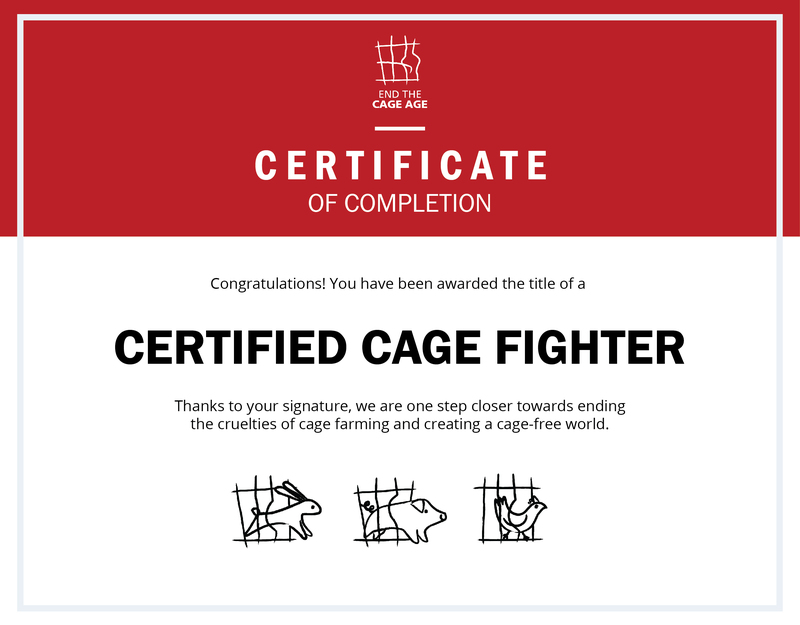 Click here to download and share your official cage fighter certificate! Don't have time to fill in the form? Click here to send it to your email for later completion.